NextThe ‘Capitoline Vision’ of Edward Gibbon. 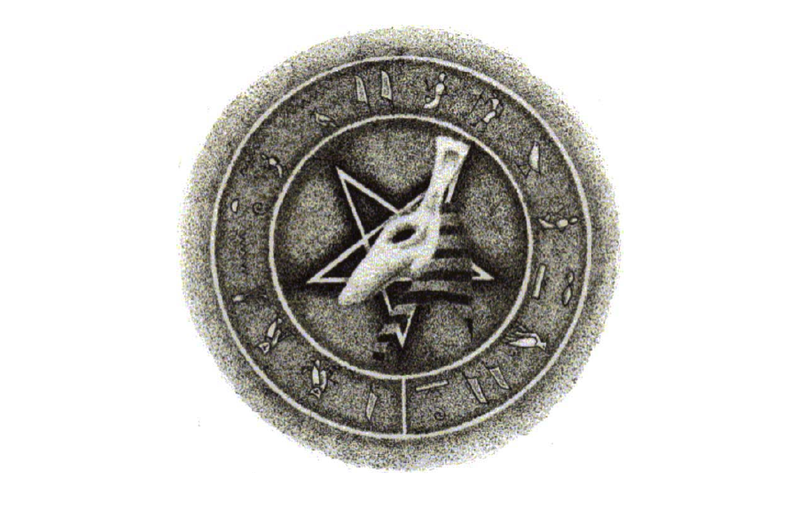 Featuring an all seeing eye in its imagery ,this is the occultist and magician Eliphas Levi’s pentagram, which he considered to be a symbol of the microcosm, or human. The All Seeing Eye becomes a hijacked symbol by groups with agendas that we don’t really understand. Trying to put together a story on the legend of the eye that matters becomes very challenging. Everyone’s view or theory on what the eye represents becomes blurred. With this final instalment we will briefly look into the world of the occult, more specifically Satanism and how it has hijacked an Egyptian God as its symbol or centre piece for worship. Furthermore, we will also look at how the symbolic interpretation of the upside-down pentagram and the pyramid that surrounds the eye is used as a repeating theme among occultists. Finally, we will fix our attention on some examples of the all seeing eye in today’s society, particularly through the media and organisations. Satanism, is usually associated with a group of western religions consisting of varying ideological and philosophical beliefs. Their shared characteristics include symbolic association with or veneration of Satan. Those who are engaged in Satanism (and in relation to this series) also make use of the all seeing eye in their religious symbolism. As previously stated in part 1 of this series, we have come to associate the all seeing eye with Egyptian gods Horus, Ra and Sekhmet. But Satanists or black magicians, as they are sometimes referred to, associate the all seeing eye as the Eye of Set. This is despite the fact that Egyptian mythology has never associated the all seeing eye with Set. Set or Seth is the Egyptian god of storm, the desert and chaos. The Egyptian god Set in the eyes of Satanism is the very same entity as Satan from the bible. They claim that Set is simply another name for the dark lord of the underworld that Christians referred to as the devil or Satan. One of the most famous satanic churches is called The Temple of Set. Has the Egyptian god Set, in the image above, been hijacked as a symbol for The Temple of Set ? Predictably, the all seeing eye is featured in countless images relating to Satanism and black magic, particularly the averse upside-down pentagram, which is called the Eye of Set or the Eye of Satan. 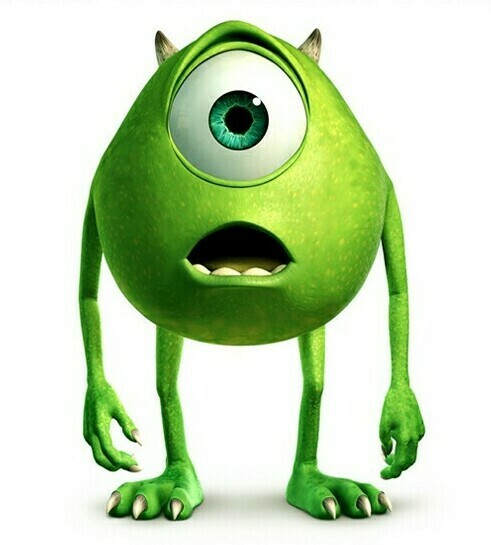 But quite possibly people are more aware of the Satanic symbols of the Illuminati. They are famously portrayed as a shadowy group often trying to “conspire to control world affairs by masterminding events and planting agents in government and corporations to establish a New World Order….”. 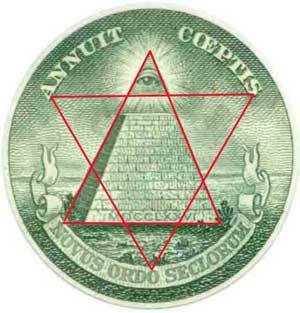 Symbols such as the Eye of Providence and/or the eye in the pyramid have been hijacked as their own. The Pentadollar ? The all seeing eye, typically in the shape of the unfinished pyramid is the hijacked symbol most associated with the Illuminati and the occult. 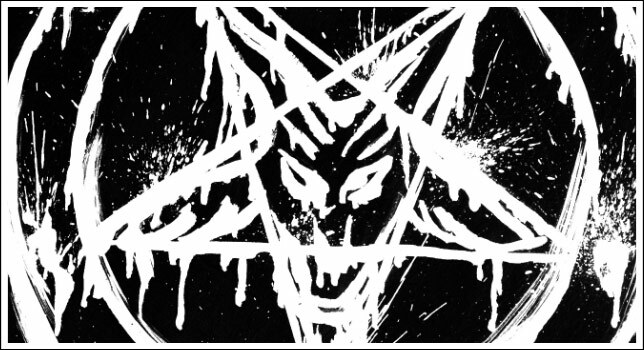 The sigil of Baphomet, the official insignia of the Church of Satan. Another popular symbol used regularly as an interpretation of the all seeing eye is that of the pentagram. The centre of the averse upside-down pentagram is called the eye of set or the eye of satan. The pentagram was originally used with good intentions, such as a protection charm against demons, but over time it was reversed to have its own distinct interpretation as a sign of evil. The illuminati, who are often painted as villains behind everything from freemasonry to Satanism, use this symbol with an All Seeing Eye or with Baphomet’s head at the centre. The Baphomet, first appeared as a pagan idol in the trial of the inquisition of the knights Templar. The knights were accused of worshipping the Baphomet as an idol or deity. The Baphomet is also a hijacked symbol of the Illuminati. 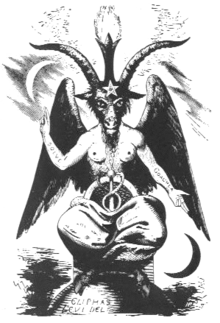 Since the 19th century, this image above of the Baphomet (1856), has been associated with a “Sabbatic Goat” created by French occultist Eliphas Lévi, which contains elements representing the “sum total of the universe”. However, the Baphomet has also been connected with Satanism , primarily due to the adoption of its symbol by the Church of Satan. 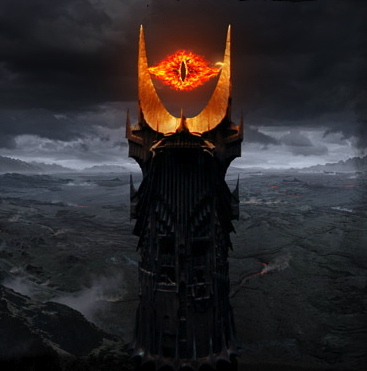 The Dark Lord Sauron is portryayed in the film ‘The Lord of the Rings’ as the Eye of Sauron. He is ultimately seen as a symbol of terror, darkness and something to fear. Music artist, Jessie J, using the symbol of the eye to promote herself? Pearl Jam have previously used the all seeing eye on their album cover ‘No Code’. 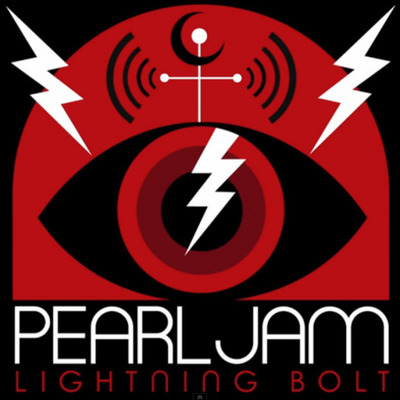 Here again they use the symbol of the eye on their current release ‘Lightning Bolt’. Is it a bit of fun, or a symbol made to promote, provoke or shock? MI5. British Intelligence and the all seeing eye? In modern society the All Seeing Eye is usually equated with authority and protection. (surveillance). 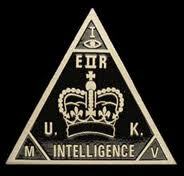 This interpretation can be seen in the logos of organizations such on the Great Seal of the United States and MI5 (British intelligence).Both of these organizations could be considered the all-seeing eye of their respective governments ? We also have examples of the modern use of the eye as a symbol of protection in local government. 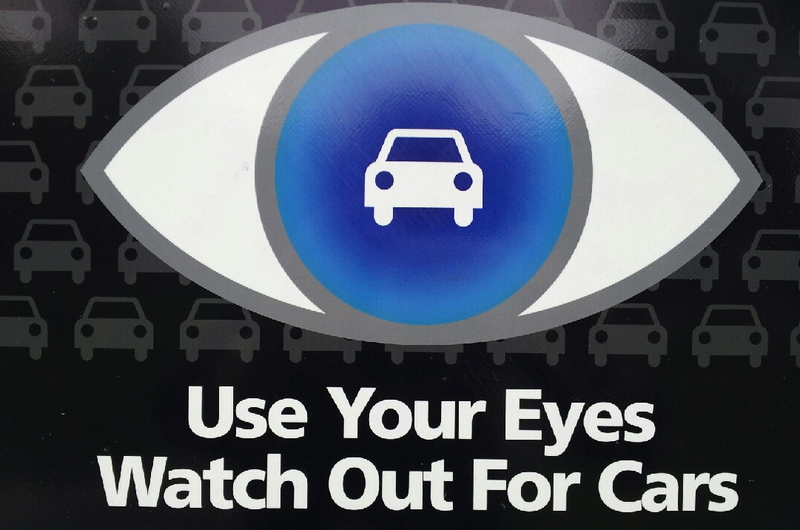 Below are two images, one from London’s ‘Big Brother-like’ transport campaign (2002) to protect public transport users from crime. The second, is a sign which was erected by a local Melbourne council in Australia. 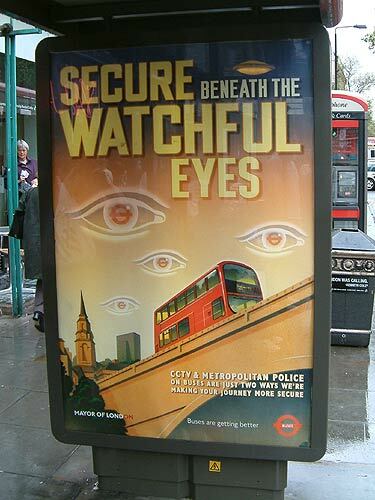 Big Brother-like transport poster for Londoners, 2002. Local councils watching out for its residence. Next time you see a symbol of the eye on TV, on a t-shirt or in the street, ask yourself is it a symbol of knowledge or protection, or a form of clairvoyance or chaos and darkness ? Seek out the nature of its design or just simply have some fun with it ! In the end, the eye is sometimes just simply a symbol, nothing more and nothing less.